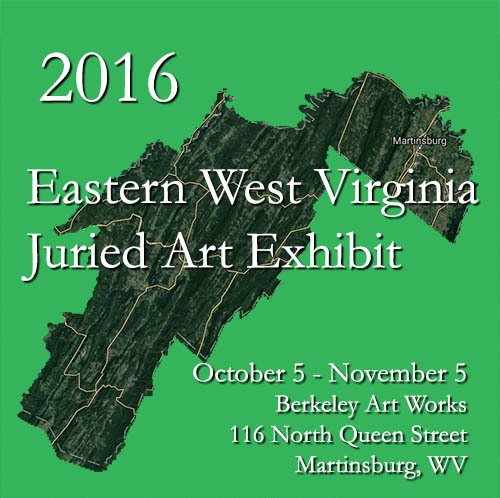 The Berkeley Arts Council in Martinsburg, West Virginia is pleased to announce the accepted artists for the Fourth Annual Eastern West Virginia Juried Exhibit, to be displayed in the Berkeley Art Works Gallery, 116 North Queen Street in Martinsburg. The exhibition will be on display October 5 – November 5, 2016. A reception will be held on Friday, October 14 from 5-7pm.